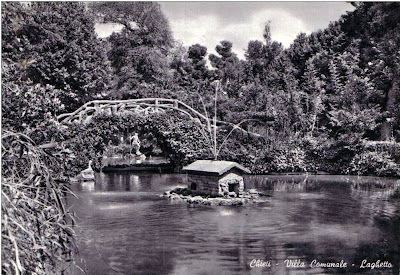 A good starting point for a walk around Chieti is the Villa Comunale. It is a beautiful public park designed at the end of the 800’s with gardens on three levels containing perfumed flowerbeds and rare plants. Hundreds of age-old trees create shady avenues: colossal cedars, fragrant limes, poplars, slim plane trees and delicate magnolias. They are home to an important and protected fauna, for example birds such as the wren, the goldcrest, the sparrow and the woodpecker. You may also spot dormice and red squirrels as they scurry between the shrubs. 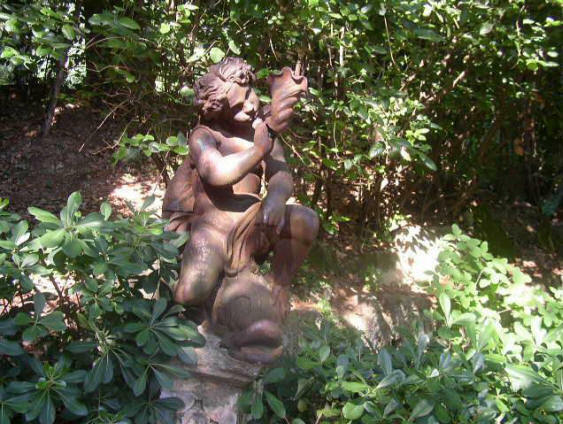 There are two ponds with fish and swans, two artistic fountains, statues, busts and monuments. The main fountain in the middle of Piazzale Mazzini was made in Paris for the occasion of the World Fair of 1890. On hot summer days children play around the basin full of fresh water, while parents or grandparents sit and chat on the wrought iron benches all around. 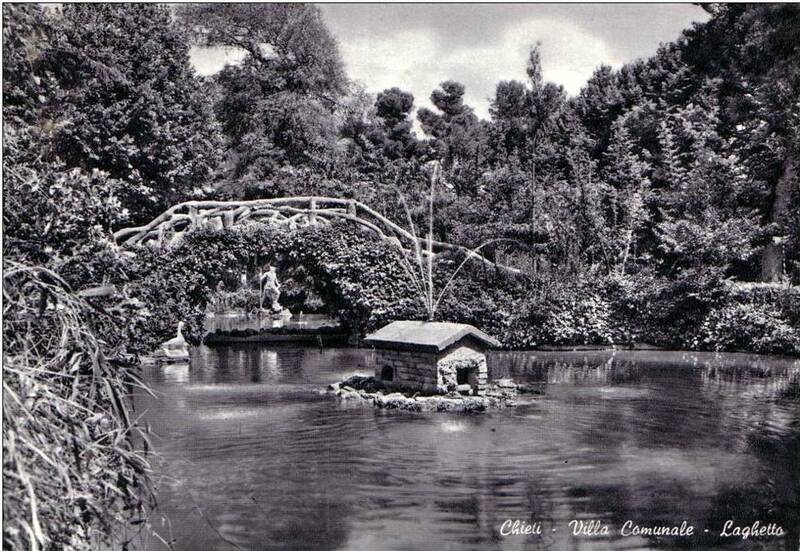 In 1893 this park was opened to the public. There is also a lovely well-equipped playground sheltered beneath a canopy of trees. In the summer children can also enjoy quaint pony and cart rides around the park. 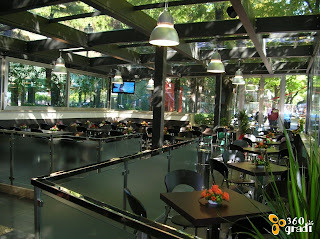 For a light meal, an afternoon coffee or an ice-cream, there is a lovely airy café there called Casina dei Tigli (House of the Limes). In the evenings this place is full of young and old. There is music and laughter and a very lively atmosphere. At the top level of the park you have a wonderful panorama of the southern part of the town with the Majella mountains in the background. The neoclassical Villa Frigerj is at the top (at first I thought it should be spelled with an 'i' at the end but no it is a j). It is home to the splendid Archeological Museum of Abruzzo which was opened in 1959. It's very tranquil and relaxing here. By the way, Chieti is known as ‘the town of the chamomile’ not because they cultivate it here, but because of the fact that is a quiet locality where rarely anything serious happens. The Abruzzo region has one of Italy’s lowest crime rates. 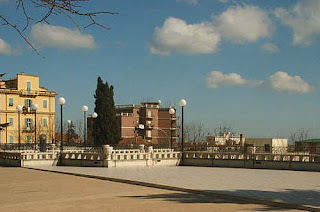 Un buon punto di partenza per una passeggiata intorno a Chieti è la Villa Comunale. 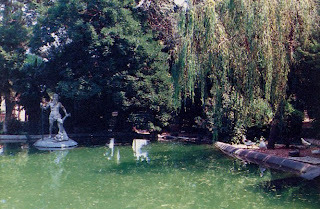 È un bellissimo parco pubblico e giardini con profumate aiuole e piante rare sui tre livelli, disegnato alle fine dell’800. Ci sono un centinaio d’alberi secolari creando i viali ombrosi: tigli odorosi e colassali cedri, pioppi, platani snelli e magnolie delicate. A me piacciono molto gli alberi e soprattutto gli alberi in questo parco. Ospitano una fauna importante e protetta, ad esempio gli uccelli come lo scricciolo, il regolo, il passero ed il picchio. I ghiri e gli scoiattoli rossi affrettano il passo tra i cespugli. 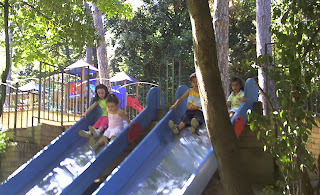 C’è un bel parco gioco lì, ben equipaggiato e riparato sotto un baldacchino d’alberi. Anche in estate i bambini possono divertirsi con un affascinate pony e carretto che gira tutt’intorno al parco. Ci sono due laghetti con pesci e cigni, due fontane artistiche, le statue, i busti ed i monumenti. La fontana principale detta ‘La Fontana Monumentale’ nel centro del Piazzale Mazzini, fu comperata a Parigi in occasione dell’esposizione universale del 1890. Nelle calde sere d’estate i bambini giocano intorno alla vasca piena d’acqua fresca mentre i genitori o i nonni siedono a chiacchierare sulle panchine di ferro brunito. Se si cerca un caffé o un gelato, si può andare al bel ristorante lì chiamato ‘Casina Dei Tigli’. È molto tranquillo e rilassante alla Villa Comunale. A proposito, Chieti è nota come ‘la citta della camomilla’ non perché vi si coltiva, ma per il fatto che è una località molto tranquilla dove raramente succede qualcosa di grave. 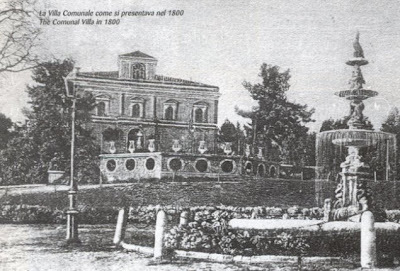 Sul livello più alto c’è il bellissimo edificio neoclassico della Villa Frigerj, che fu costruito nel 1830. 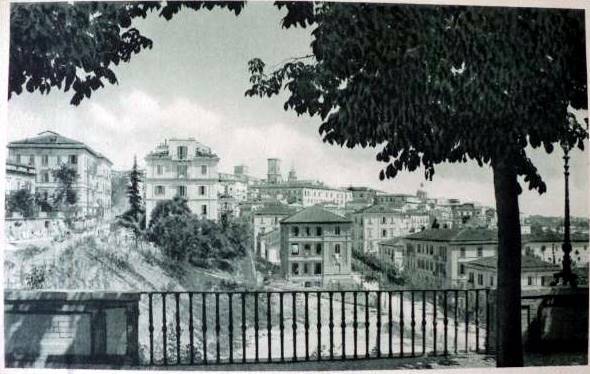 Dal 1959 è sede del Museo Archeologico d’Abruzzo. Thanks for your comment Aquana. I hope that you get there one day. Thanks for commenting on my blog--I was able to discover yours! I love it. Grazie Alessia! It's nice to find other people who share a love for Italy and the language. I was delighted to stumble upon your blog today -- lovely pictures. I enjoyed your site. I was looking for the origins of the phrase "Puozza scula" which I saw on Italian Notebook. After some searching I was referred to your site.